When you acquire a language, a lot more goes on than Chomsky would have you think. Of course, the theory I discussed last week has it’s good points and explains a lot of anomalies, but I say: Explain me this. Children do not acquire some sort of “universal grammar”; they acquire their own speech community’s grammar. Scottish English has slightly different grammar to English English, and African American Vernacular English (AAVE) has a very complicated grammar system. Children also acquire, on top of grammar and vocabulary and intonation, accents and dialects. They acquire them in a much more intelligent way than we would give them credit for. From a very young age, children learn the social context surrounding their accent. 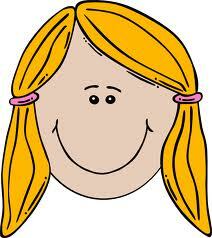 If a young girl is acquiring an accent, she will use non-standard forms less than her male peers. All children learn to use more non-standard forms in “fun” times (playing, being close to their parent, and so on), and dial down their use when it comes to formal situations (education and being told off, for instance). As you can see, children don’t simply talk like their parents. There’s something really complicated going on, which Chomsky tried to work out but didn’t quite get there. Children learn, from a very young age, how social language is. Let’s make ourselves a wee case study. Amy’s family lives in Cardiff, but her parents are both from London. As a young child, Amy learnt to talk like her parents, she picked up their accent, dialect and other linguistic ticks of her parents, as these are the people who were around her most. However, Amy then started going to playgroup (nursery/kindergarten/crèche, or whatever you call it where you’re from). She very quickly realised that she doesn’t talk like the rest of her peers. Suddenly, Amy started doing everything she could to drop the London accent and pick up the Cardiff one. She probably won’t have the strongest accent out of all of her friends, but she will succeed in picking up the accent. Fast-forward a decade or so, and Amy is going to University. She got into Newcastle university. When she gets there, she doesn’t pick up the accent. She starts glottal stopping (dropping her Ts) a lot more, and maybe picks up one or two words, but she can’t, for the life of her, talk like her peers. So, once more, we’re left in the dark with our theories of child language and dialect acquisition! It will have been socially motivated. You were trying not to sound like your parents (because parents are never cool), and maybe the local accent was too different to acquire, or maybe you subconciously wanted to differentiate yourself, or perhaps you subconciously disliked the local accent and wanted to move away from it. So, we were trying to be cool? I wonder if we succeeded? So apparently, acquiring a particular accent is not a bad thing. Boohoo you neanderthal folks! I was born in England, and learned to speak with that accent. At the age of 5 my family moved to Canada, and after 3 weeks in a Canadian school, I had dropped the English accent and started speaking like a Canajun. It was sheer survival. They didn’t like the British in our town, apparently. Then, just when my accent had just aboot cemented itself in Canuck, eh, we moved to California. After a few weeks of, “Here’s the new girl — her accent is, like, sooooo cute. Okay, new girl, say something,” I learned to pick up the Valley Girl dialect of a West Coast American accent. A year later we moved to a beach community south of Los Angeles, and I once again had to change dialects, this time to the laid-back drawl of the surfing community. Dude. As a result of all this accent-shifting, I now pick up any strong accent to which I am exposed for more than a few hours. Especially if the accent is one that I have personally spoken in the past. My co-workers always used to smile knowingly when I would talk on the phone to my mother — apparently I had slipped back into British. I used to cringe when a certain British client visited the office and generally ended up tongue-tied by the end of it, afraid that if I spoke, he would think I was trying to curry favor with him. And the year I spent in Texas at a missionary training school filled with people from all over the world, well, that was the most linguistically confusing 10 months I have ever endured. What exactly SHOULD one call the evening meal, anyway? Dinner? Supper? Tea? So I don’t know what Chomsky would make of me. Or the purposefully word-mangling language my brother and I invented and still speak to each other despite our advancing age, just because we are the only two who really know what we mean. I do know that to this day, I cannot say the word “tomato” if my mother is in the room. Should I say it with the American accent I usually use? Or should I echo back the British pronunciation she just used. It seems like I’m correcting her if I say it differently. And then I stutter as I try to use it. And then she looks at me funny, and you know how Brits have an ingrained fear of people looking at them funny…. Wow, I was wondering if there were other people who pick up almost all the strong accents after a couple of hours conversation. Accents are a bit of a mystery. I think I am beginning to understand how my mother, born to a dockers family in darkest Bermondsey in 1919, spoke rather like the Queen.